Admist the hustle and bustle of Whitechapel, lies Britain's oldest manufacturing company, the Whitechapel Bell Foundry. 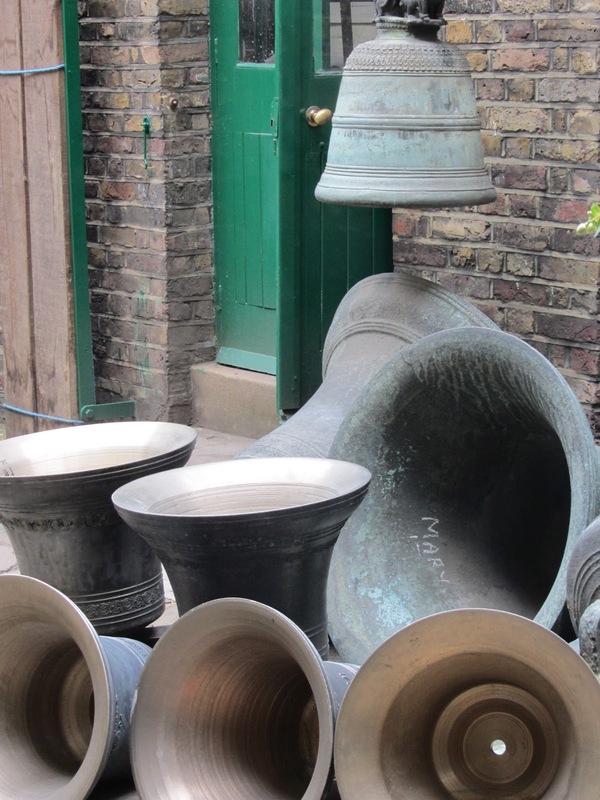 It was established in 1570 (during the reign of Queen Elizabeth I) and is still going strong, producing beautiful bells of all shapes, sizes and sounds. 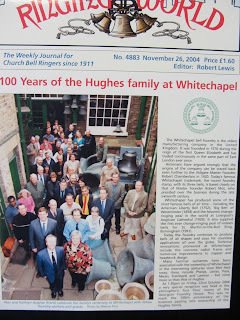 In fact, one of the most famous bells in the world was made here, providing the chimes to a much-loved London landmark. Big Ben. It was cast in 1858 and is the largest bell ever to be cast at Whitechapel. It weighed 13½ tons and a cross-section of the bell still surrounds the door entrance at the foundry today. 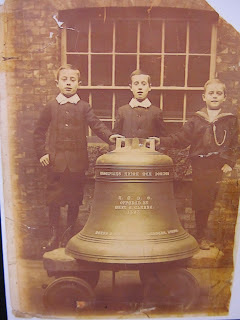 As well as Big Ben, the foundry has produced other famous bells including the American Liberty Bell (1752); the world's heaviest change-ringing peal at Liverpool Anglican Cathedral, and the first ever change-ringing peal of 16 bells at St Martin's-in-the Bullring Church in Birmingham (1991). The Whitechapel Bell Foundry is situated within a row of Grade II listed buildings, and has remained pretty much unchanged over the years, almost appearing as a time warp amongst the medley of surrounding architecture on this busy East London street. It's strange to think that whilst the foundry has been there, such monumental events have taken place around it, including World War II and the gruesome murders of Jack the Ripper. 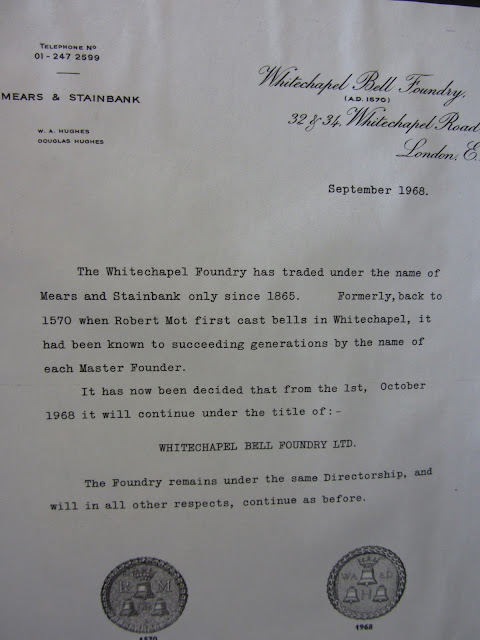 The Whitechapel Bell Foundry is a unique and historical place worth investigating. 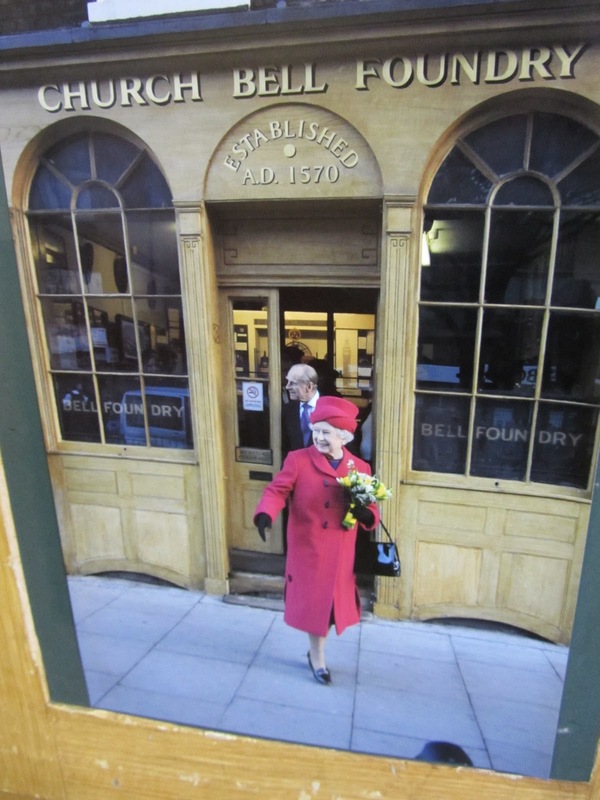 There are public tours available on most Saturdays throughout the year (when no foundry work is taking place), which are so popular, they get booked up as far as a year in advance! 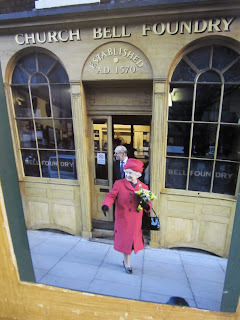 I'm still hoping to explore the tour sometime, but meanwhile I recently popped along to check out the shop and museum which was small but informative. My favourite thing being the mass collection of bells I spotted outside in the courtyard. Whether you like big bells, handbells, clock bells or turret bells, they've got the lot. Quasimodo would have felt right at home here. Ding dong! I visited the foundry in 1994. Unsurprisingly, it doesn't look as if a single thing has changed. Amazing piece of living London history. If you get a chance to hang around when they are casting it's very impressive indeed (even if you don't happen to be a 13 year-old boy! ).